Seeking to increase its profile within the outdoor gear industry, Jetflow has hired Boulder, Colorado based Versa Marketing Inc, to handle its blogger outreach campaign. Jetflow is a hydration system designed to replace the plastic bladder and problems associated with cleaning old bladders. 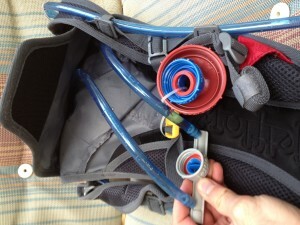 Jetflow introduces almost any water bottle attached to a manifold. Two hoses connect to the manifold. One delivers liquid to the Bite Valve and the other releases vacuum pressure through the Jet Valve resulting in a jet of water. You can then wash and reuse a bottle or replace with a different recyclable plastic bottle. In addition to the ability to easily replace water bottles attached to the hose unit manifold, there is a second air intake that creates the flow in the Jetflow. Air intake translates to a constant improved flow of water and eliminates vacuum pressure.Advantages over a bladder include no plastic taste and easier maintenance by recycling bottles or washing a bottle instead of a moldy bladder! The valve system works with any standard bottle and adapts for wide mouth bottles. Versa Marketing is conducting outreach to outdoor bloggers interested in doing a product review. Qualified bloggers should contact Versa Marketing. This article originally was slated for 900 words taking a deeper look at Facebook’s rollout of Offers and Promoted Posts. However, this morning, something funny happened on the way to Facebook….I ended up at Myspace of all places. Upon realizing my mistake I instinctively gravitated to the back button. Call it nostalgia or bottled up interest in my good friend Tom, I decided to give the old neighborhood a looksey. Gaining access to my old account took walking the chronological road of old passwords. Once I gained access to my profile, it was all very surreal, like stepping through a door into 2007. Throughout the experience I unconsciously held my breath, as if I were crawling over broken glass through a strife ridden bombed-out neighborhood, worried that looters might hone in on my position. With The New Myspace, if you’re attempting to determine paternity, you gonna have to pull Facebook, Instagram, Pinterest, Google+ and Windows 8 up on the Maury stage. Each of the major platforms are represented through varying degrees of influence. A floating time-line, photos and videos dominate the majority of screen space, but Myspace has a secret weapon. Way back in 2007 Myspace diverted from a tried and true path of successful social networks and placed an emphasis on music (which eventually played a significant role in it’s downfall). But in 2012 the public may be ready for something new, a platform that allows a seamless integration of music and friends all on one channel. For the meantime, information on the new Myspace is hard to come by, limited mostly to the Justin Timberlake promotional video released last week. With a December launch date closing in fast, I anticipate information will become readily available. The question remains, will users care or is it too late for the Myspace giant? I for one, (much like the American public) perpetually root for the underdog, and this time is no different. Go Myspace! Across every marketing channel advertisers look to increase the value of each customer they attract. The affiliate program is no different. In the affiliate marketing channel companies have the luxury of relating sales directly back to the spend incurred to obtain that sale. Other channels focus on brand awareness and relationship building which can be attributed to overall sales but not necessarily individual conversions (with exceptions of course). With this inherent tracking advantage a responsibility is placed on advertisers and/or their affiliate marketing companies to provide a deeper level of ROI analysis for the channel. With the right level of tracking, advertisers can calculate the exact ROI of an affiliate program marketing dollar spent. If a customer visits an advertiser’s website on an affiliate click and makes a purchase, that amount can be tracked. The commission paid out to the affiliate generating the sale can also be tracked. Along with the spend on internal resources and the affiliate agency. But to take it a step further, the advertiser can track just more than the initial purchase. The yearly or life-time value of customers can be tracked. This can be done on an individual level (each purchase and customer) or the use of averages can be applied. This type of tracking is seen most prominently from advertisers in the area of new customer acquisition. A higher premium is placed on attracting new customers than on sales generated from current customers. Generally speaking, a new customer has x percentage likelihood of making another purchase from the advertiser. 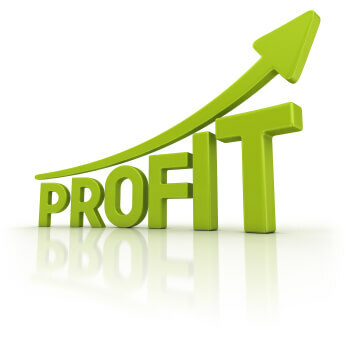 This additional revenue can then be associated with new customers and rolled into the ROI calculation. For example; if company X has an average order value of $30 for new customers and 35% of new customers spend an additional $50 in the first year, then the first year value of a new customer would be $47.50. This data drastically changes the ROI calculation as opposed to using just the initial purchase revenue. This can also be extrapolated out to the life-time value of a new customer. The point being, this information can be tracked, is extremely valuable and can be acted upon. The action taken from this data can be wide ranging. Commissions can be increased to affiliates generating new customer sales. Internal processes and marketing procedures can be optimized to increase life-time value. The spend on staff or outsourced program management can be justified. At the end of the day this information helps companies make well informed decisions on their marketing spend. Below are a few ways that companies can increase the value of customers and hence spend a larger marketing budget to acquire them. There are many ways to increase the value of customers (new or existing). It’s extremely important for companies to optimize the monetization of traffic that marketing campaigns generate. Increasing conversions by just a percent, the average order by $5 or the repeat business by 10% can have a profound impact on revenues. At Versa Marketing we strive to track the “real” value of affiliate channel conversions. This insight allows us to build a profitable and fundamentally sound affiliate program. As part of our affiliate marketing service we work with our clients and make recommendations on how to increase a company’s customer value. Managing at this level has allowed us to truly measure the ROI of an affiliate marketing campaign and optimize according to the numbers. For more information on our management practices please contact us and a company team member will be happy to reach out. 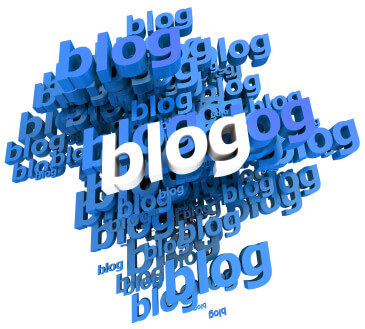 As you probably noticed, blogs are expanding rapidly on the internet. They come in all shape and sizes and target every demographic. There are blogs that identify the best deals, blogs giving reviews, providing opinions, allowing people to network and connect, informing on particular topics, etc. Blogs have always been a part of the affiliate marketing channel and have now evolved into extremely valuable publisher partners for virtually every program. The trick now is how to engage bloggers, as affiliate partners, in the most effective and profitable way. One way to engage the blogger base for an affiliate marketing program is to provide them with free product in exchange for a review. Most bloggers will be happy to provide a review with an affiliate links included in exchange for one of your products. When completing this exchange ensure that you are setting the criteria for the partnership. This criterion may state that the affiliate will need to provide an affiliate link, picture of the product and your standard customer discount in the review. Be sure to vet your affiliate thoroughly so that you are selecting the bloggers that have adequate traffic levels and target a relevant demographic. Another way to engage bloggers is to provide a significant customer discount for them to promote. For this type of affiliate campaign it’s essential that the offer is much more valuable than the standard offers that you’ve been making available. If possible, try running a lost leader program where you give away product at cost in exchange for a new customer. If you’ve optimized your customer re targeting this type of campaign can pay large dividends down the road. 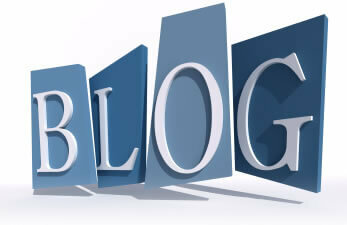 Another option is to provide affiliates with good content that they can post to their blog. This content is generally educational in nature and would provide good value to the bloggers readers. For example, if an affiliate blogger has a site about Eco-friendly products and you sell a bags made from recycle goods, you can write an article explaining how your bags are made and the process used to obtain the recycled material. The key when provide bloggers content is to make it unique. From an search engine optimization perspective, bloggers want fresh content that isn’t being pushed out to 100 other blog websites. There are multiple options for engaging bloggers in your affiliate marketing campaign. The right strategy and recruiting tactics will yield incredible results from these traffic sources. Versa Marketing has extensive knowledge on how to manage these efforts and a deep network of blog partners. Please feel free to reach out and see how we can we can grow your affiliate program through the blogging channel.